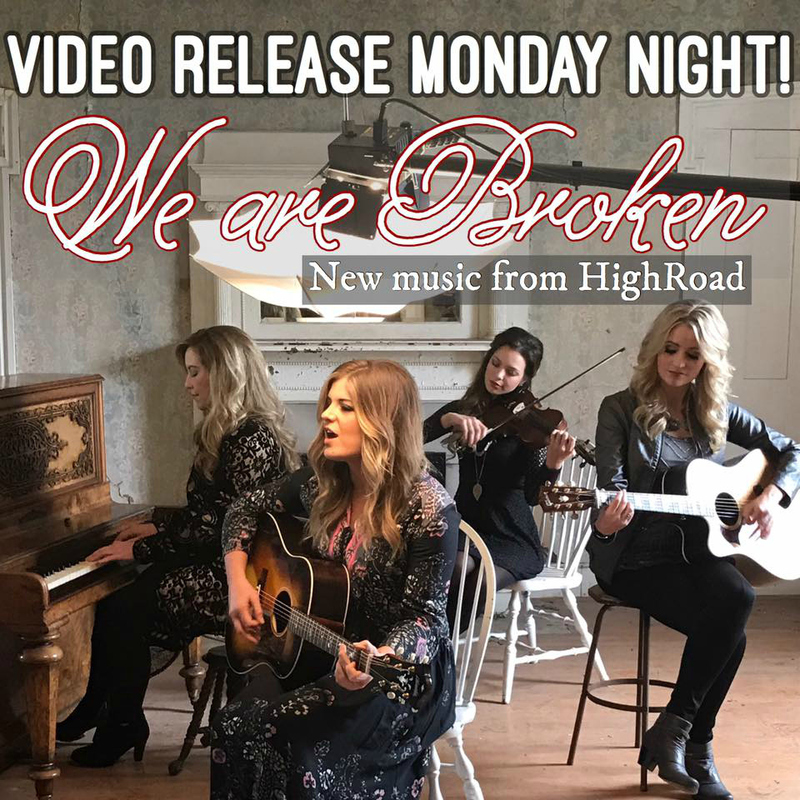 NASHVILLE, Tenn. – (February 27, 2017) – Country and bluegrass fusion group HIGHROAD is proud to unveil its brand new concept video. The song, based on the group’s hit single “We Are Broken”, is being released this evening at 7:00 pm CST on the group’s Facebook page . “We Are Broken” was filmed in an old house that was in built in the year 1810 in Cross Plains, Tennessee. This is the first concept video from HIGHROAD’s Absolutely Gospel Award nominated project Somewhere I’m Going. The song was written by Sonya Isaacs Yeary and features The Isaacs as guest vocalists. To view the stunning new video, visit the group’s Facebook at www.facebook.com/HIGHROADNASH . “We Are Broken” is currently making its mark on Southern Gospel and Bluegrass radio. The song is impacting radio now. HIGHROAD is also celebrating the recent success of Somewhere I’m Going. This release earned the group five Absolutely Gospel Music Award nominations including Album of the Year. The group with special guest Jason Crabb will perform its nominated song “Christ My Hope, My Glory” at the Awards Celebration on Tuesday, April 11, 2017 in Nashville, Tennessee. Follow them on FaceBook at https://www.facebook.com/HIGHROAD3 and Twitter at https://twitter.com/highroadmusic .